How Shadows and Other Illusions are Used to Create 3D Tattoos - Picnic! Everything seems to come in 3D today from our televisions to paintings, movie screens, video games, and now you can even get 3D tattoos. Unlike other 3D screens and pictures, you won’t need special glasses to see the full effect of your tattoo. The relief that makes these pieces look like they’re popping off the skin is created by shadows, perspective, and optical illusions. 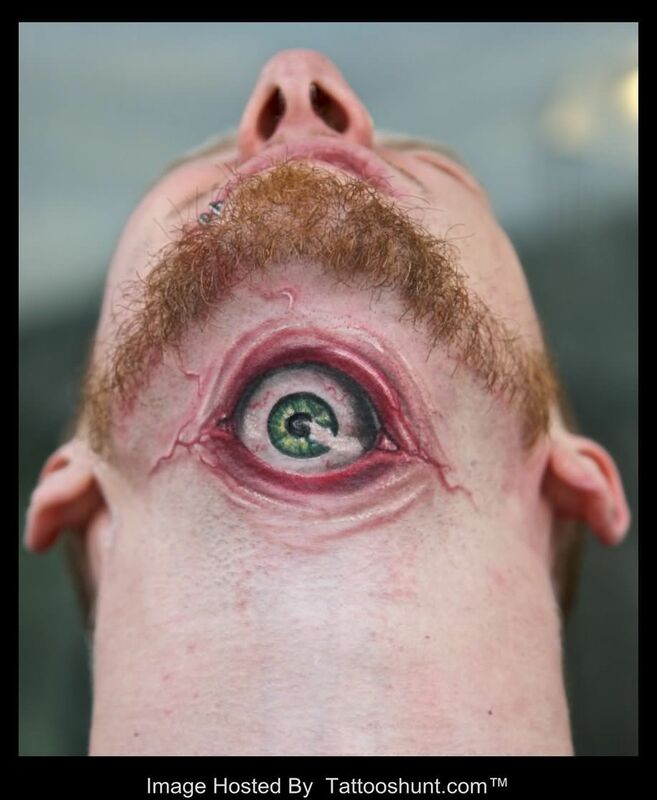 You won’t believe the ways that some of the amazing 3D tattoo artists can create pieces that make your entire body look like something completely different. Take a look at some of the 3D tattoos below that we’ve assembled and learn how they achieve the look that makes you wonder how ink can bend your mind so much. This is a very popular image for the world of 3D tattoos as many people who saw it thought the leg was fake at first. Upon closer inspection, you can see that the relief that makes this woman’s leg look like it’s been cut up or that it’s artificial is created by the strategic use of shadows! The artist painstakingly played with lights and darks to show the cutouts that make you wonder what this person might have done to their leg. 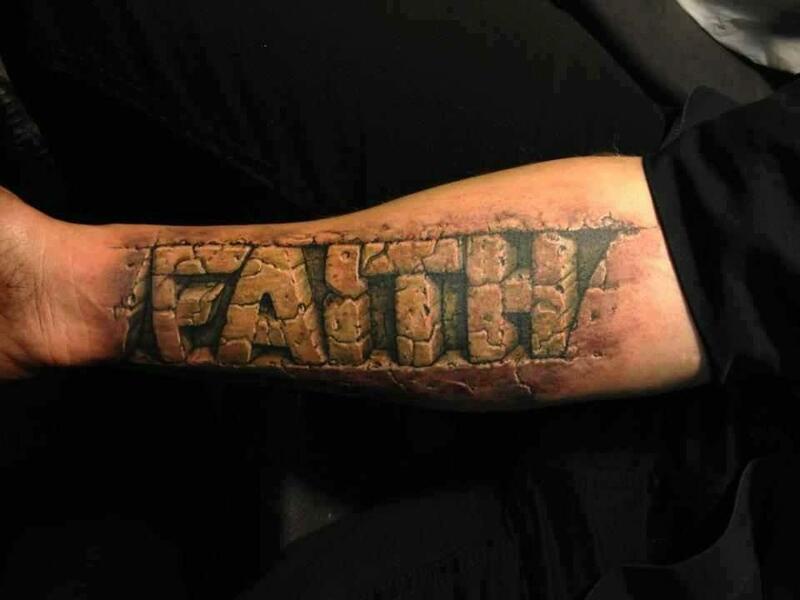 Here you can see another tattoo where relief is created through shadows, bringing a unique look to the popular symbol of faith. The stones etched into this person’s arm are not actually carved but instead they were drawn using special ink and shadows to create a three-dimensional look. 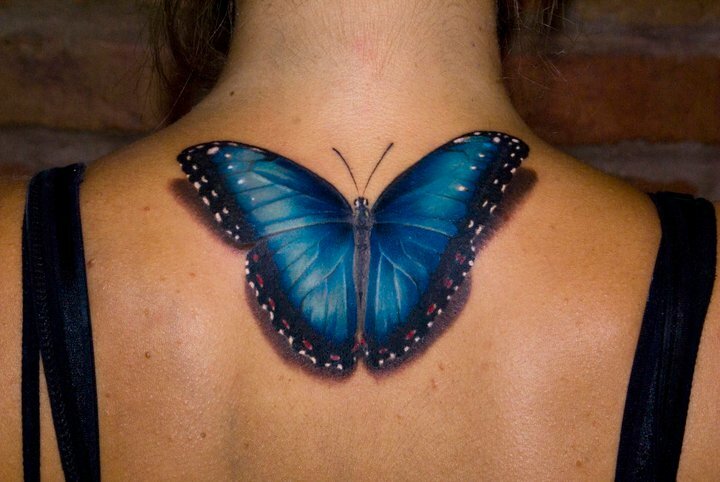 Another popular trend among 3D tattoos is the butterfly landing or some other type of insect crawling on the body. This is a larger version of the butterfly landing that many people have adopted since the 3D craze began. As with the images in the previous section, this look is achieved by the strategic placement of shadows and light. The colors are laid down precisely to give the desired effect and an incredibly unique look on an old concept. 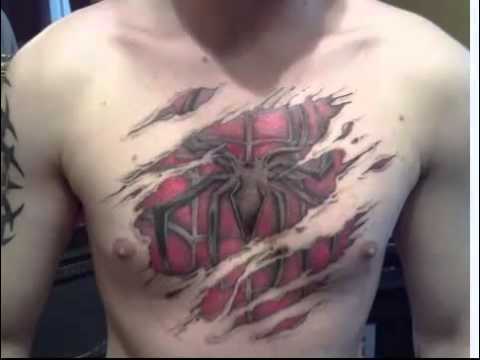 One idea among 3D tattoos is a little subtler than the rest and that is the look of puckered skin. Unlike the others, this design uses lines instead of shadows to create the look that the skin is cracking or puckering around the area of the tattoo. It still gives a 3D picture and is something that warrants a conversation when people see it, but the work that goes into the cracks and puckers isn’t as intricate as the shadows and colors required to create the relief on other designs. Now you can show off all the cyborg parts you wish you had with 3D tattoos that depict exposed organs, parts, and anything else you keep under your skin. This is one of many designs where people request robot arms, entire chest pieces that show what’s underneath, and all with the appearance that strips of skin barely cover the insides. The artwork is beautiful and the shock value is even better! Apparently there are several Spidermen, Batmen, Supermen, and other heroes walking the streets that we never knew about! 3D tattoos now allow the lovers of these stories to take their devotion to the next level. Similar to the tattoos with exposed organs or robot parts, these pieces feature the costume of choice underneath ragged pieces of skin just hanging on. Both these and the previous section use colors, lines, and shadows to create the necessary relief and layers that make each tattoo look three-dimensional. Have you ever wondered if people would look at you differently if there was a third eye embedded in your neck or a mouth growing out of your shoulder? 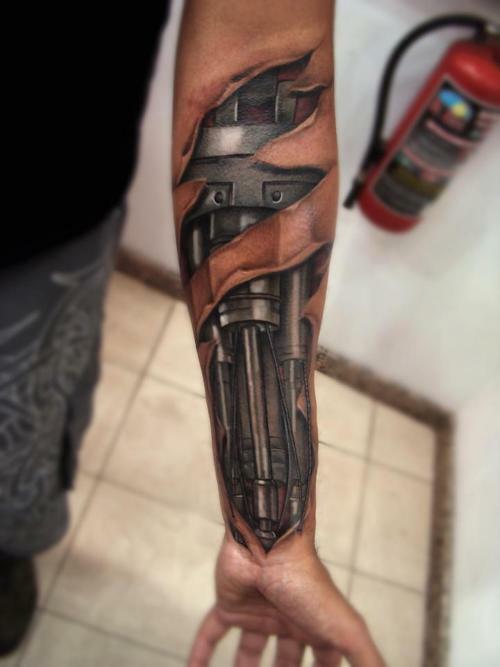 Using the magic of 3D tattoos, you can create a look that was once only imagined in science fiction movies. If you’re looking for striking artwork and maximum shock value, these designs are the way to go! Sometimes the ideas of zombie makeup are incorporated to show zippered skin over rotting parts or exposed bone breaks that are a trick of the light. Be careful with these designs because, much like actually growing a third eye out of your neck, you’re not going to be able to cover this one up. The skills to ink 3D tattoos are not at all the same as the ones necessary for traditional two-dimensional tattoos. The artists that are able to do these designs correctly are few and far between, often booked several months to several years in advance. If you’re even thinking about a 3D tattoo, it’s a good idea to find out where the nearest artist is and what their availability looks like. Even if it takes you a very long time to make your decision, you don’t want to have to wait another year or longer before the tattoo can realistically be added to your body art. 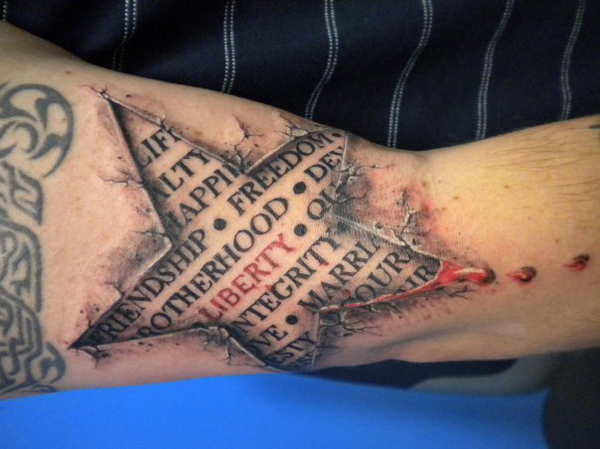 As you can see from the images throughout the examples above, 3D tattoos are not at all like other designs. The artwork is more intricate, the full picture takes more planning, placement on the body can be tricky, and these tattoos use different inks than others. Remember these factors when choosing your design and where it will go because chances are you won’t be able to have it removed down the line if you decide you’re sick of it. Also, don’t balk at the price when you’re quoted for a 3D tattoo. They cost a lot more and there’s a reason for that. Not only do the artists need to learn more than what they already knew but they have to pay for different inks and sometimes different tools in order to get the colors and shading right so you have the exact picture you want. This is not your ordinary tattoo! Choose wisely and take good care of your tattoo artist. You won’t be sorry when you see the finished product!